I have a new boss for the first time in 20 years! Deborah has worked at our agency for 34 years, and when our previous executive director announced he was retiring, she applied and was selected. We are so fortunate to have a new leader that is someone we already know and love! Our Administration Team planned something fun and special for her first day to welcome her and show our support. We came up with several gifts and paired them with creative sayings. 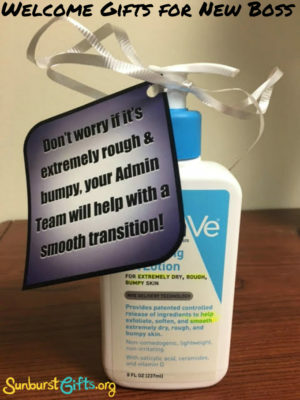 Don’t worry if it’s extremely rough & bumpy, your Admin Team will help with a smooth transition! The Admin Team is like these slippers, we are your fiercest supporters! Welcome to the Team! We will always have your back! 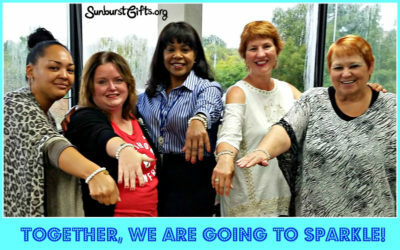 Together, we are going to Sparkle! Each team member received a bracelet. Whether it is a new boss, co-worker or employee to the organization, it’s always worth the time and effort to make them feel a part of the team. Truly it’s a brand new day for everyone! 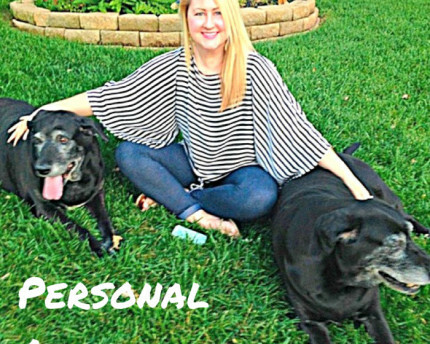 We can’t express enough how thrilled we are to work with our new boss and to embark on this new journey with her!